Siempre lo ha sido, el desgraciado. 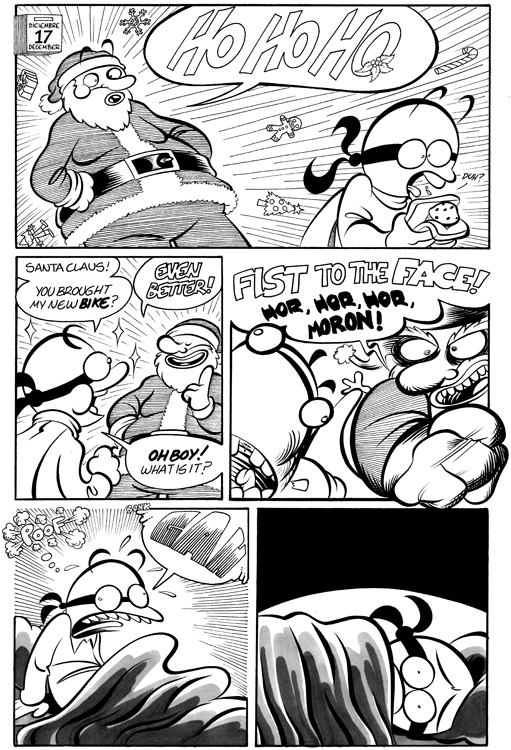 Breaking news: Father Christmas actually kind of a jerk! There’s a reason why you got underwear for Christmas. Boy! Santa’s work has gotten the better of him! After all those years and all those kids, can you blame him? He won’t be able to sleep for a while. A Muffin Sandwich. weird but somehow enticing… I see a meme on its infancy. I think that’s something he picked up as an adult.